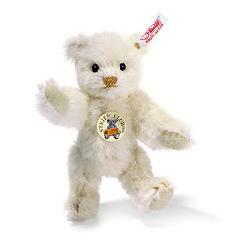 Bert is the event bear for 2014. He is 21 cm. / 8.5" tall and and limited to the year 2014.
he is made out of artificial silk plush. She is made of a pale pink alpaca. She is 32.5 cm. / 13" tall. When you order, please provide your club number. 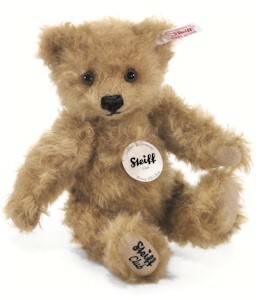 Louis has been made to honour the 20th anniversary of the Steiff club. 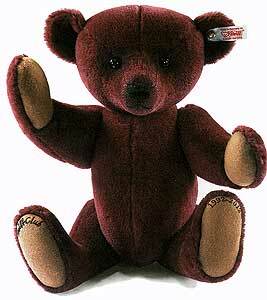 He is made of a royal colour burdundy red alpaca. He is 37 cm. / 14.8" tall. 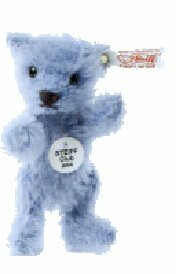 Eve is the event bear for 2011. She is 21 cm. / 8.5" tall and and limited to the year 2011. 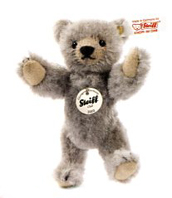 He is made of grey alpaca and is 10 cm. / 4" tall. 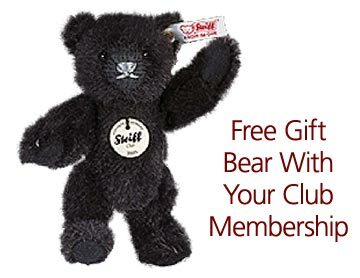 You get this bear for free when you join the Steiff club for a year. 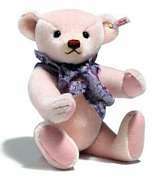 This bear is made as a club gift in 2009. He is made of black alpaca and is 10 cm. / 4" tall. 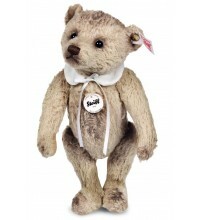 This wonderful bear is 10 cm. / 4" tall. He is made of alpaca and he has a golden nose. When you buy him in 2008 you will become a club member for the whole year of 2008. 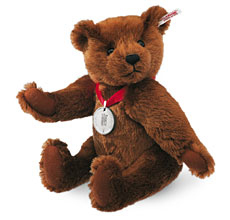 Paulchen is the event bear for 2008. 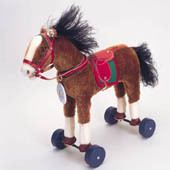 He is only available at club dealers who will give a club event. 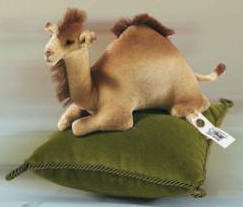 This camel is made in 2005. The camel is 8 cm. / 3.2" high. There are 1.100 pieces made. 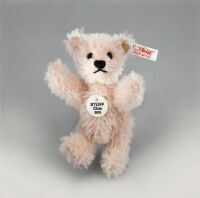 This bear is made in 2003 to honour the big teddy bear sales at the toy show in Leipzig. He comes with a shipping crate. There are only 4.500 pieces. 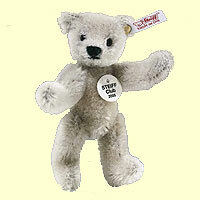 This piece is made for the Steiff club in 1998. He is 35 cm. / 14" tall and there are 2.020 pieces made. This is the club gift for the year 2003. He is 7 cm. / 3" tall. This is the club gift for the year 2004. This is the club gift for 2005. 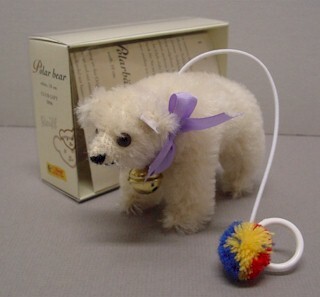 This small bear is 10 cm. / 4" tall.